Beginning a meditation practice can yield an array of benefits including lower stress, better sleep and a more relaxed disposition in life. These results can be seen in a matter of weeks, but why stop there? Research is showing enhanced brain development, altered brain wave patterns and increased attentiveness over time in life-long meditators. As we age, changing and growing the brain becomes increasingly difficult. It turns out, through regular meditation, you can increase the thickness of the brain in parts associated with attention and the process of sensory input, according to a study at Harvard Medical School. Researchers also found that the older the subjects had more pronounced cortical thickness in the regions of integrating emotional and cognitive processes. This shows that long-term meditation can potentially reduce age-related cortical thinning. A healthy brain has deeper folds, which translates to more surface area, often indicating higher intelligence and faster brain function. A study out of UCLA this year showed a direct correlation between the increase of folding in the brain (gyrification) and the amount of years practicing meditation. The study found that long-term meditators had large amounts of gyrification compared to people who didn’t practice meditation. 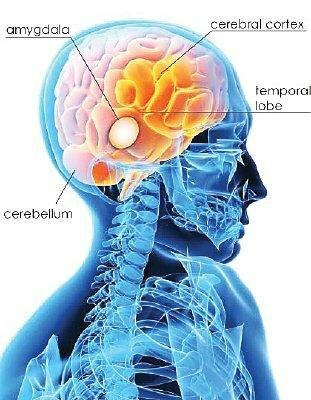 In addition, the gains, which were mainly in the cerebral cortex, indicate greater functions in attention, thought, memory and awareness. Dr. Richard Davidson, a neuroscience professor at the University of Wisconsin-Madison, has conducted numerous studies on the benefits of long-term meditation, using Tibetan Buddhist monks as his subjects. Findings from his various studies include discovering that the brain of a senior Tibetan Buddhist monk had the highest ratio of left versus right activity out of a test group of 175 people. This points to a high level of emotional contentment, happiness and positive thoughts. His other studies found more gamma waves (increased cognition and focus) in monks than an average healthy person; enhanced neural coordination; and an altering of the circuitry of the brain, to what he believes could produce positive permanent changes. The length of time spent in a meditative state also produces surprising results. One might think that meditating for an extended period of time would lead to the brain shutting down, the Delta Waves turning on, and the meditator to slowly slip into a dreamlike or sleepy state. But studies show the exact opposite happens. An Australian neuroscientist measured the brainwaves of 13 people as they progressed through five different meditative states. There was an immediate increase in Alpha waves, showing a more attentive and calm mental state. As the states deepened, Delta waves decreased, causing the neuroscientist to conclude that extended meditative states produces more alertness and attentiveness rather than inducing a drowsy or sleepy mind. None of this is to say that one needs to meditate for hours on end or join a monastery, but research shows that a regular meditation practice strengthens the brain. Over time, meditation will produce significant changes and alter the structure of the brain in positive ways. By changing the brain, meditation could have the potential to affect biological processes. No other mental practice or art form has shown such consistent and rewarding results with both short and long-term results. Setting aside some time to meditate daily can have life-changing effects and long-term benefits.